Perhaps LeBron James put it best when he tweeted: “GM’s wish the draft was tomorrow,” in response to the standout performances by freshmen Jabari Parker, Julius Randle and Andrew Wiggins in Chicago’s Champions Classic on Tuesday. Although the three underclassmen are listed alphabetically here, the general consensus among college analysts and NBA scouts seems to be that you couldn’t go wrong selecting any of these prospects with the first overall pick. With the looming probability of these players taking their talents to the big leagues next year, this draft class has the opportunity to solidify itself as one of the best in recent years. Jabari Parker – Jabari Parker made his Duke debut on Nov. 8 against Davidson, where he racked up 22 points on 8-of-10 shooting, 6 rebounds, 2 assists and a block. Despite this stat line, the young forward emerged onto the national spotlight with a sensational performance in a highly anticipated match-up against the No. 5 ranked Kansas Jayhawks. Parker dazzled the Windy City crowd, showing his range with deep threes and hard drives in the paint. He gashed the Jayhawk defense with off-balance floaters and an alley-oop reminiscent of the great Grant Hill. He finished the game leading all scorers with 27 points and also added nine rebounds and two steals, but the most impressive aspect of his game was his humility. Rather than embracing the spotlight of his superstar caliber performance, Parker showed intangibles that will surely increase his draft stock heading into 2014. 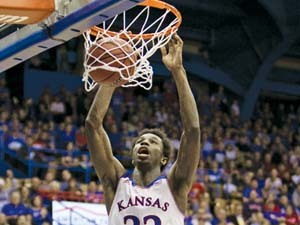 Andrew Wiggins – Opposite of Parker’s first half offensive explosion was Andrew Wiggins of Kansas. Wiggins, who also impressed in his debut against UL Monroe (16 points, 3 rebounds, 3 steals and 2 assists), had a quiet, six point half against No. 4 Duke, picking up two quick fouls before being benched for the remainder of the half. At the break one thing was clear: Wiggins didn’t have Parker’s range and looked somewhat average for an athletic freshman playing under the bright lights. 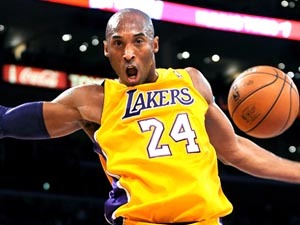 It wasn’t until the second where he turned things around, showing everyone what he was capable of on both ends of the floor. First he begged head coach Bill Self to let him guard Parker for the remainder of the game (which clearly paid dividends as Parker was held to a measly eight points in the second). Then he exploded offensively, dropping 16 points in the latter half and helping his team secure a 94-83 victory over the Blue Devils. 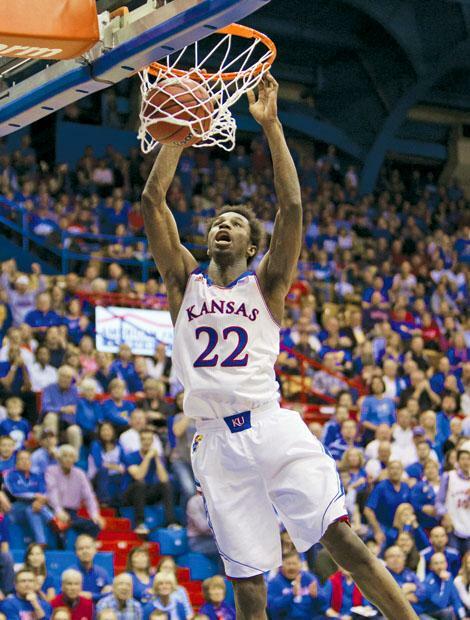 Wiggins finished the game with 22 points on 9-of-15 shooting to along with eight boards. Julius Randle – So how do you pass on talented phenoms like Parker and Wiggins? Simple, you draft Julius Randle. The 6-foot-9-inch, 250-pound power forward shattered preseason expectations when he nearly led his inexperienced Kentucky team past the veteran No. 2 ranked Michigan State Spartans. Randle showcased power, quick lateral movement, and a knack to finish around the basket, scorching MSU’s defense for 27 points. And though he destroyed the Spartans interior defense with a variety of post moves, Randle never flashed his perimeter game that impressed so many scouts coming out of high school. As long as head coach John Calipari keeps feeding his freshman forward the ball inside, Randle will undoubtedly garner the attention worthy of a first overall pick. NBA GMs get ready, Randle, Wiggins or Parker could be arriving to a team near you in 2014.